In Lisbon, ultra-hip grandmothers reinvent fashion with their needles and hooks. And every three months, they are transformed into top models to promote their new collection. 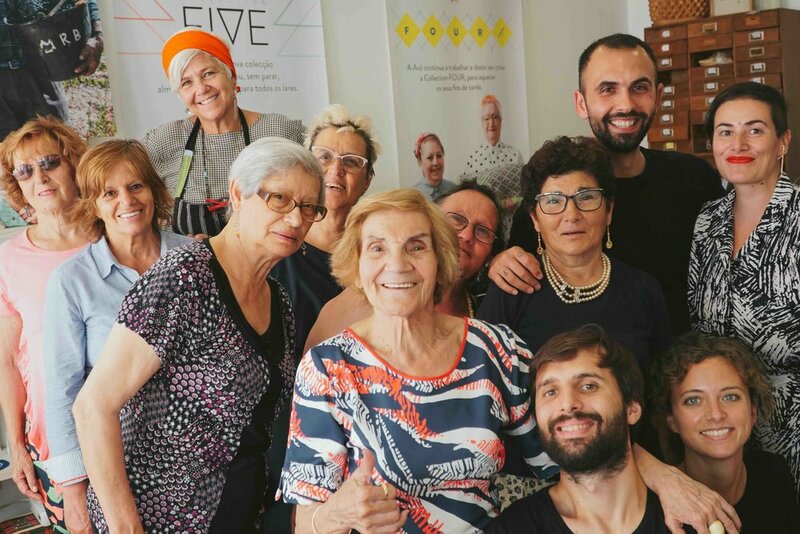 Welcome to the project "The grandmother goes to work"
We visited Germany's first multigenerational home, a place of proximity that welcomes young mothers, elderly people, migrants, and many children. In Salzgitter, 600 people meet every day in this self-managed house. The place offers good food, daycare, day care for the elderly and other activities that bring generations together. The concept has spread, there are today more than 500 houses of this type across Germany. In Deventer, the Humanitas retirement home hosts six students free of charge. Young people drink beers with their octogenarian neighbors and love stories begin under the amused gaze of the residents. In Brussels, the Duo for a Job program helps young people with an immigrant background get out of unemployment. The principle ? Each young person is connected with a retiree who gives him access to his network, helps him prepare applications and job interviews, and shares his experience. Today, the help of a retired "mentor" doubles the chances of these young people entering the labor market in Belgium. Dance against Parkinson's. In Bassano del Grappa, Italy, the Dance Well project invites people with Parkinson's disease to dance in a museum. Surrounded by works of art, they give up their crutch and surrender themselves to music. At the end of his life, Giuseppe Verdi decided to open a house for old musicians in the center of Milan. Since 1898, the most prestigious tenors, conductors and pianists come to spend their old days there. In joy and good humor, as long as they do not talk about music.